Captain Morgan Original Spiced Rum is aged in American white oak bourbon barrels. It's a 70-proof alcohol that can be made into a variety of drinks such as hard root beer, Captain and cola or simply poured over ice. As with all alcohol, Captain Morgan does have calories. A 1 oz shot of Captain Morgan has about 60 calories, according to the Drinks Mixer website. That compares to 69 calories per shot in other brands of spiced rum and in dark rum. Many brands of spiced rum, including Captain Morgan, are 70 proof. That means they are 35 percent alcohol by volume. Regular rum often is 80 proof, or 40 percent alcohol by volume. 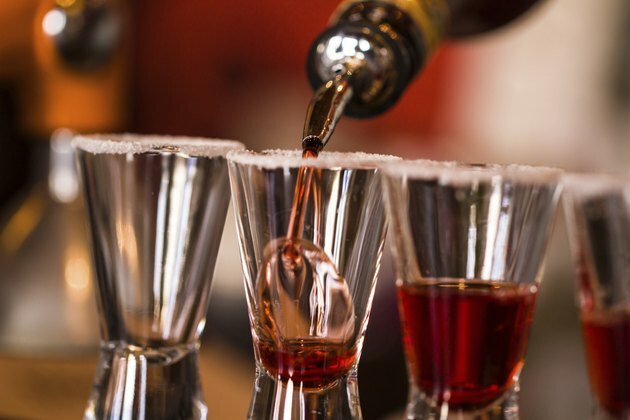 The number of calories you consume when you drink Captain Morgan will vary depending on what type of drink you mix. For example, a cup of regular cola adds 136 calories, diet cola adds none and 1 cup root beer adds about 102.